The Westboro Baptist Church came out to protest a Foo Fighters concert last night -- but the band was ready ... and came out to play an impromptu show just for them. 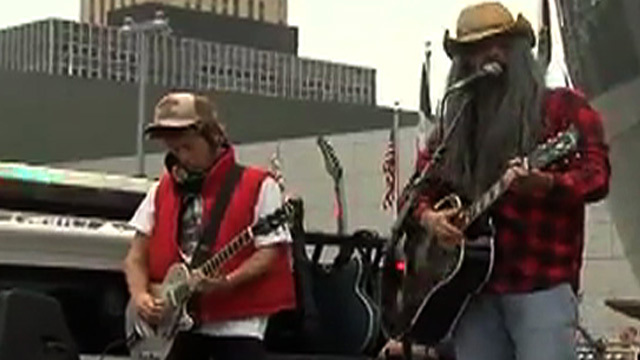 The Foo Fighters came out dressed in costumes and played a few songs -- from the back of a flatbed truck -- that mocked their ultra-conservative views. As the old saying goes ... what's good for the bigot, is good for the gander. Westboro Baptist Church Red Faced Over "Red State"